The FreeSpace series are space combat simulator games developed by Volition, Inc. and released by Interplay. They were both well-reviewed, but sales were weak. However, the combination of their gripping storylines and the bundled FRED mission editor cultivated a passionate community of fans constantly producing new content. Recreation of an original mission using the upgraded engine, models, and assets. 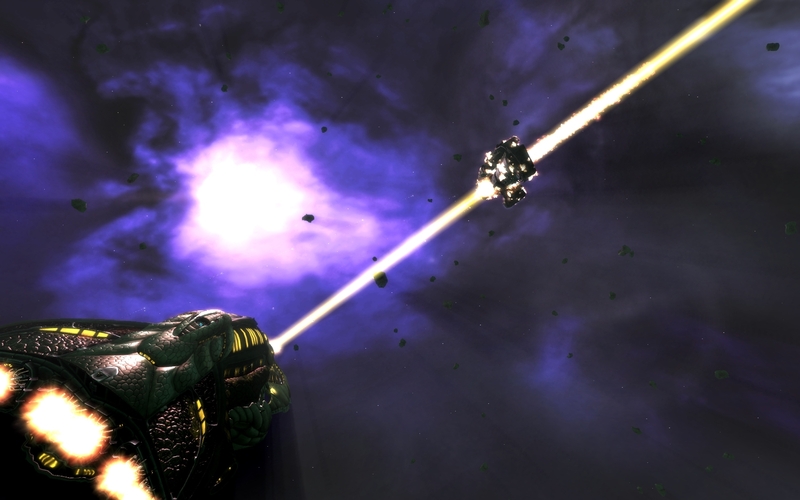 In 2002, Volition released the source code for the FreeSpace 2 game engine, and fans of the game formed the FreeSpace Source Code Project (SCP), with the goal of improving, modernizing, and maintaining the game engine. Working in tandem with many fan-made projects, the SCP developed FreeSpace Open (FSO), which breathed new life into the aging game and invigorated the fan-made content scene with nearly-limitless new possibilities for storytelling, gameplay, and modding. Today, over a decade later, the SCP continues to work on improving FreeSpace Open, and numerous fan-made projects have been released to the public—for free, of course! We'd like to extend a warm welcome to you, dear reader, to both partake of what the FreeSpace community has produced, as well as to join us yourselves. What are you waiting for?